A doctor has been found guilty of making a false statement in relation to his insolvency. Doctor Kevin Ross lied about the number of hours he was working each week while giving a statement to the official receivers in relation to his insolvency in September 2014. He denied a charge of knowingly and wilfully making a false declaration, but did not take the opportunity to give evidence at a trial at Preston's Sessions House Court. 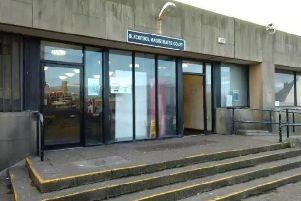 He will be sentenced on March 29, and has been given bail in the meantime with a condition to cooperate with the probation service for a pre sentence report to be written. Earlier the court heard the 45-year-old, of Oxford Road, St Annes, had signed a record of an interview with insolvency practitioners declaring he worked eight hours a week, earning around £800 a month - saying this was the minimum required to maintain his professional status. He indicated the information was "true to the best of his knowledge and belief" and signed a declaration under the perjury act, but subsequent records showed he worked 124 hours in August 2014 and 176 hours in September 2014.